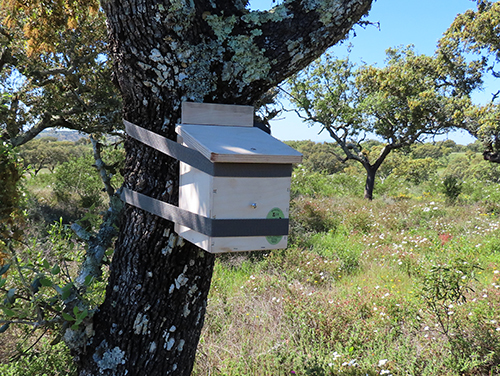 A Dormouse Den Box sited on an Iberian Holm Oak tree in the hope of attracting a pair of Garden Dormice to nest inside. 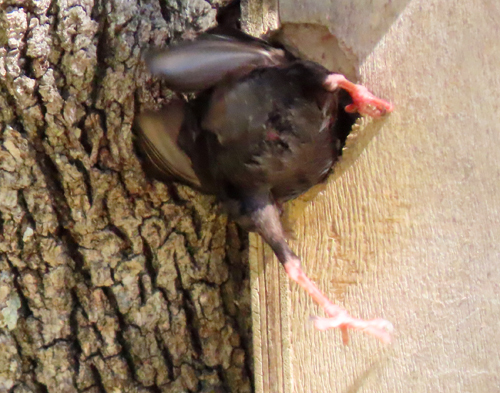 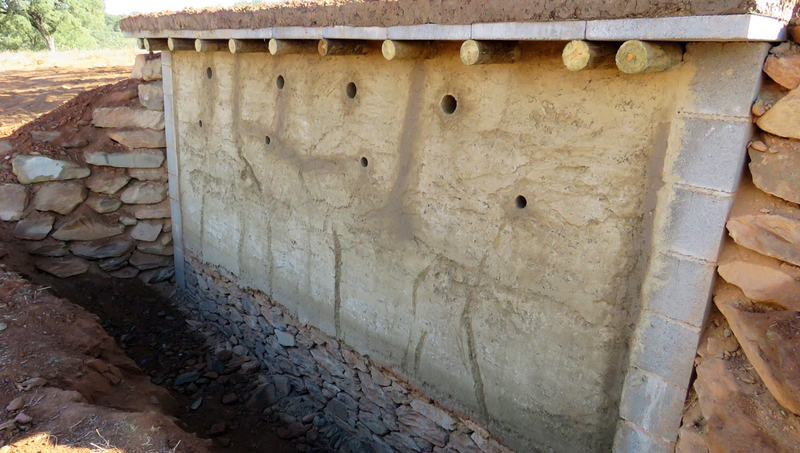 The entrance hole is against the trunk so that birds do not take over the nest/den box. 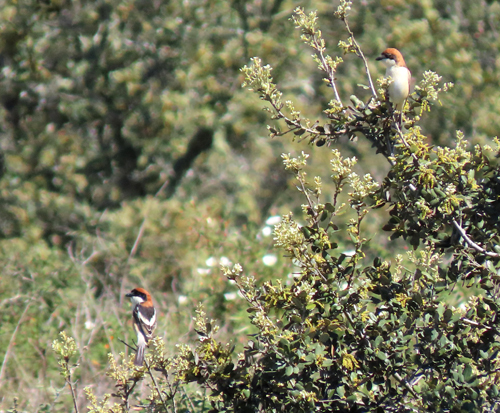 Pair of Woodchat Shrikes. 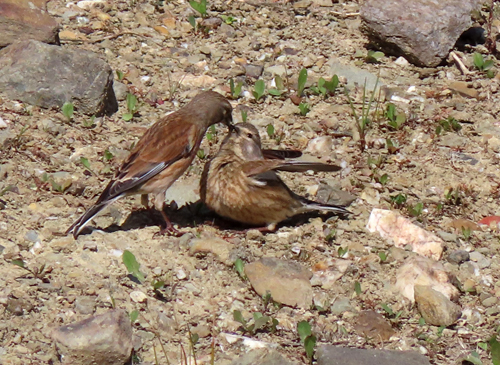 The Male is on the left. 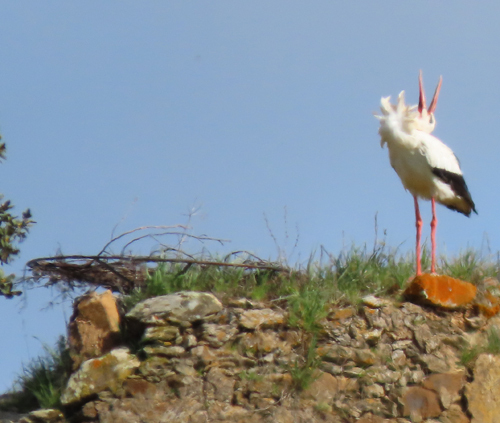 These birds are Summer breeding visitors. 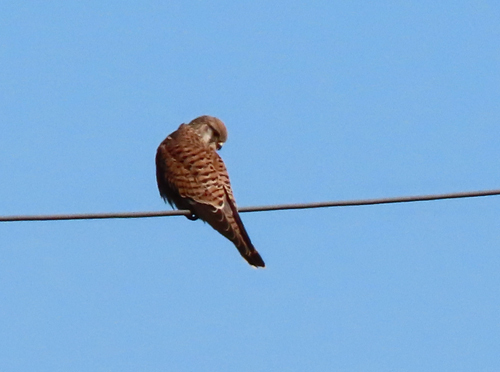 The Common Kestrel seems to be a young male. 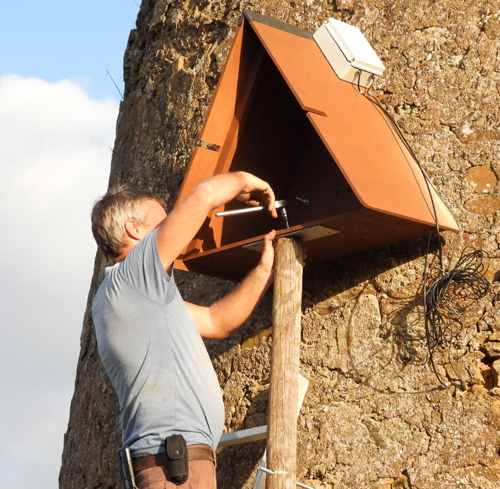 This season he does not appear to have succeeded in persuading a female to nest in the kestrel nestbox. 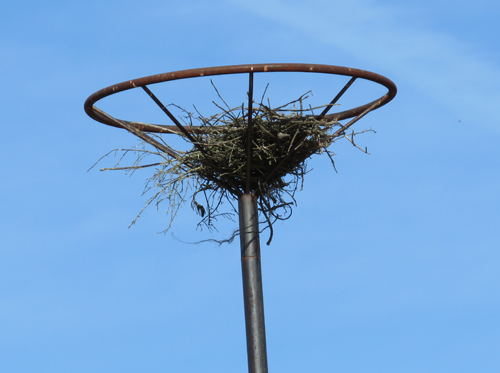 Perhaps next year. 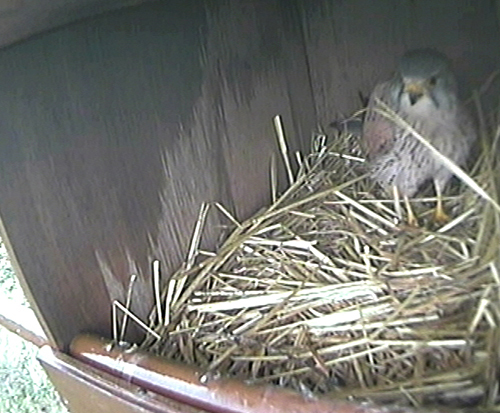 Male Common Kestrel sitting inside the kestrel nestbox during a rainstorm. 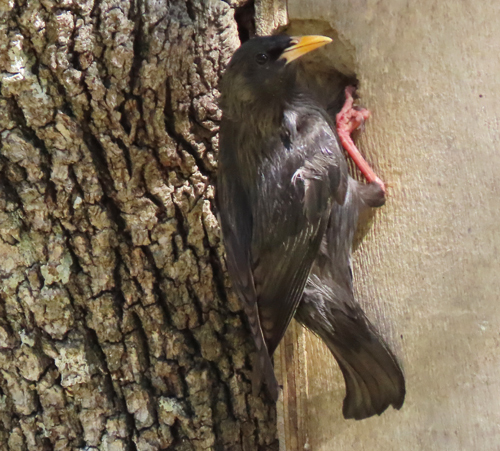 Spotless Starling trying, but failing, to get into the nest box. 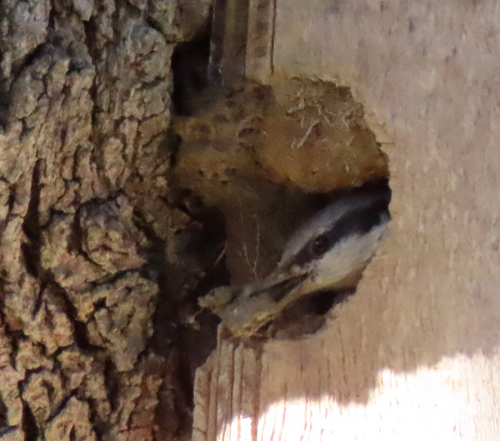 The mud put at the entrance by the Nuthatch makes the hole too small for a Starling to fit through. 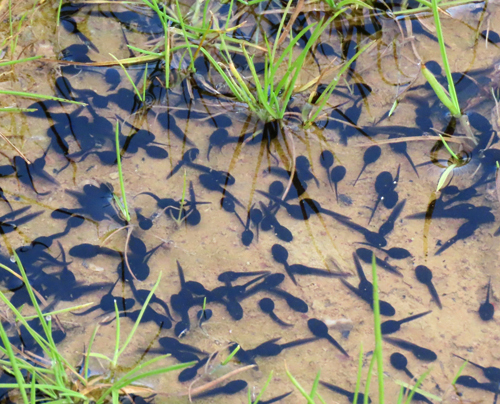 March: Natterjack or Spiny Toad Tadpoles. 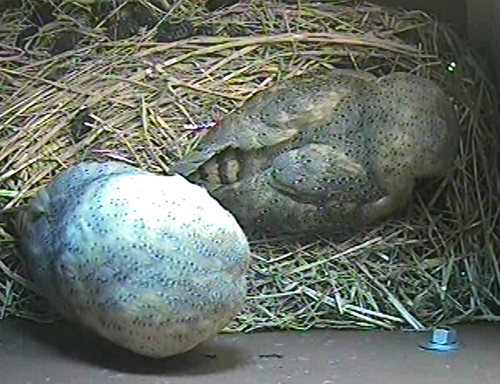 The first batch of toad spawn laid in a puddle dried up when no further rain fell. 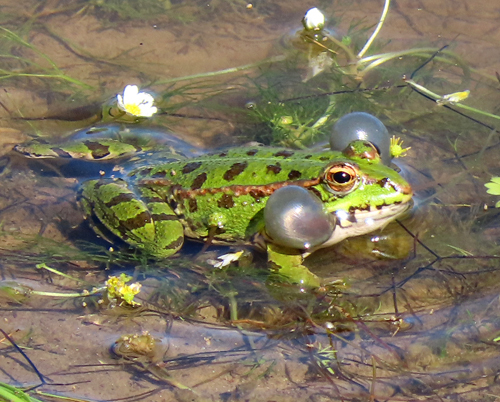 So we saved the second batch by irrigating the puddle to keep it wet enough for the spawn to hatch into tadpoles. 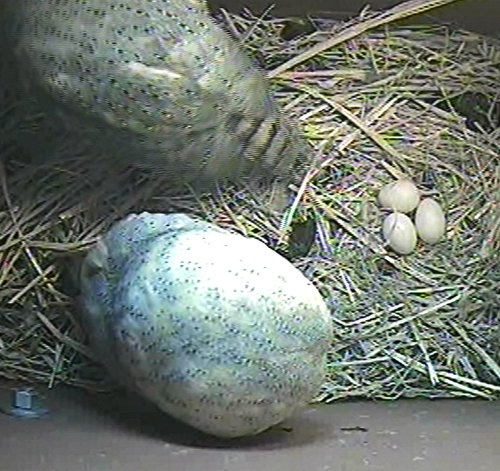 24th February: Yaay ! 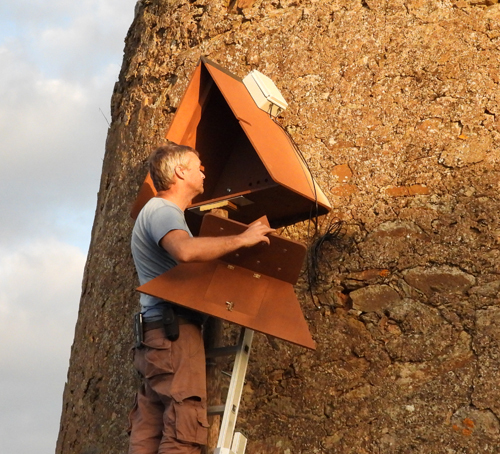 A pair of Common Barn Owls have chosen to nest in our Barn Owl Nest Box that was erected on the side of our Windmill Ruin. 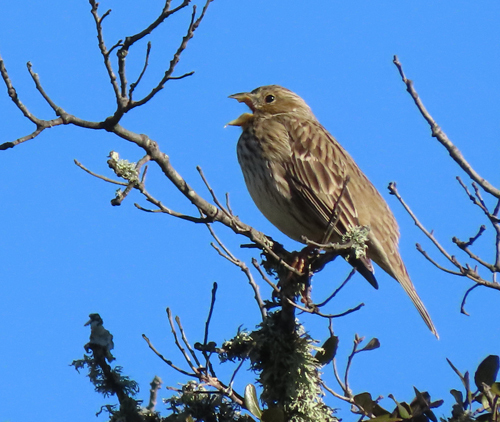 Corn Buntings are already singing in January. 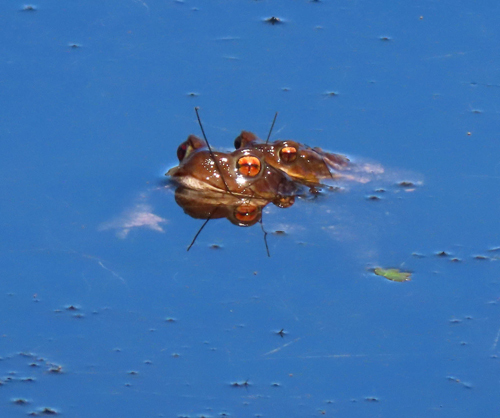 February: Spiny Toads in amplexus (mating). 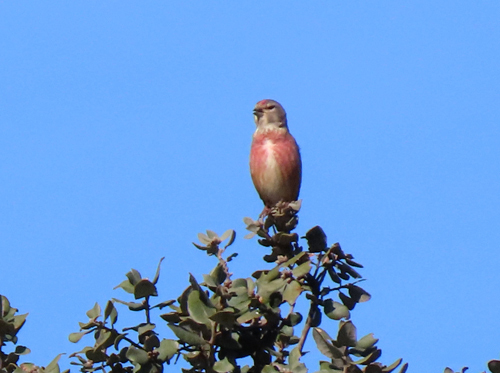 Note that the male, on top, is much smaller than the female. 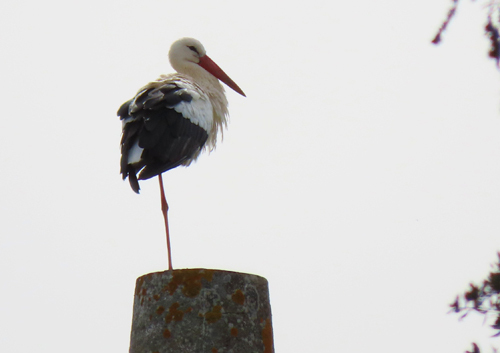 Photographed in daytime at Windmill Pond. 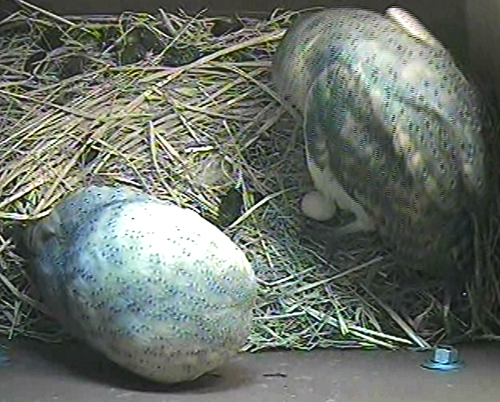 February: Spiny Toad spawn. 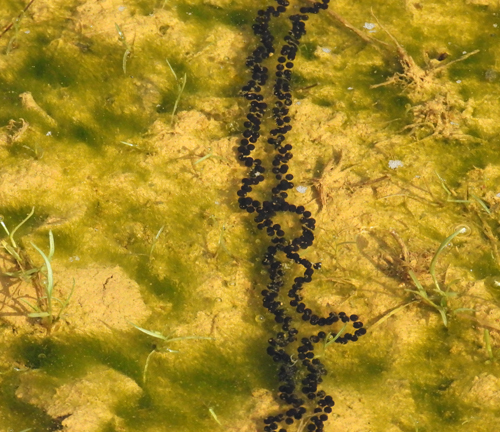 These toad eggs were laid in a number of strings in a temporary rain puddle. 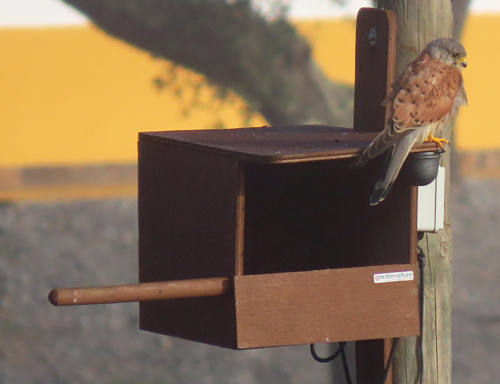 December 2018: Male Common Kestrel hunting for Mediterranean Pine Voles from the Kestrel nest box. 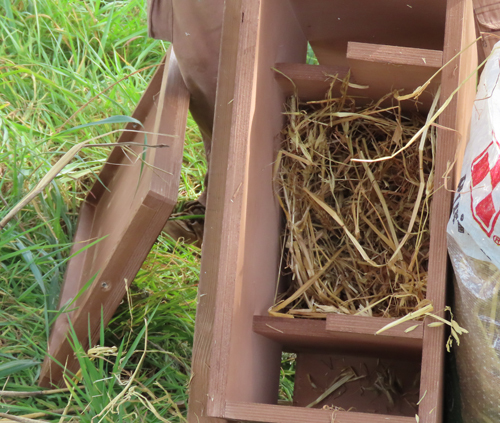 First sighting of a Kestrel at the nest box ! 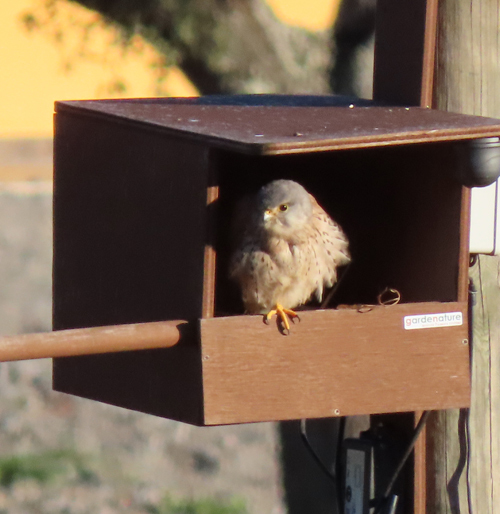 January 2019: Male Common Kestrel sitting at the front of the nest box. 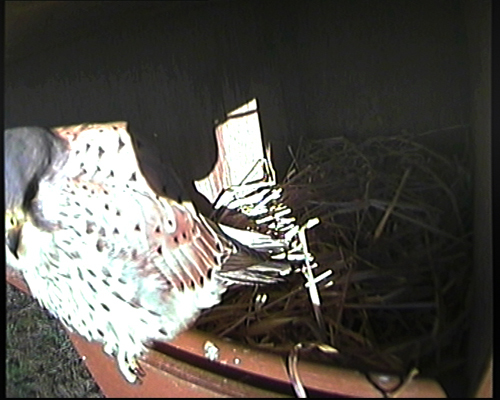 As photographed by the wifi camera fixed to the nest box. 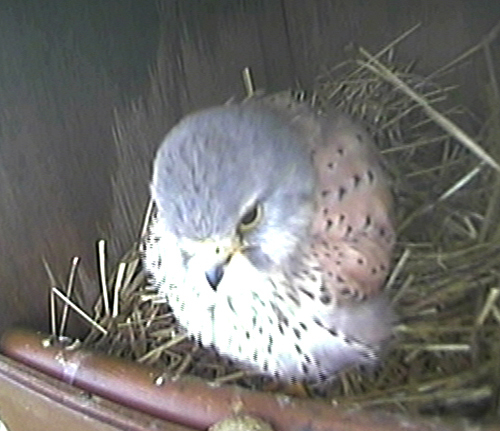 This is the first time the kestrel has been seen sitting in the nest box as opposed to on top of it. 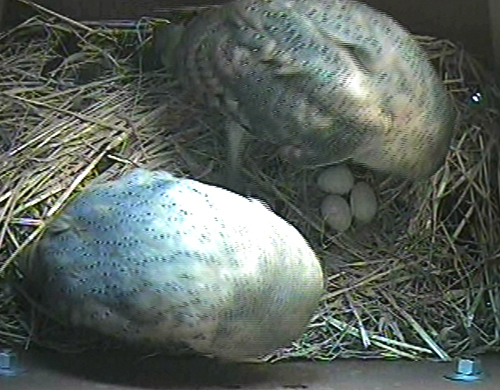 Here the Male Common Kestrel (see picture on left) has been photographed from my office window. 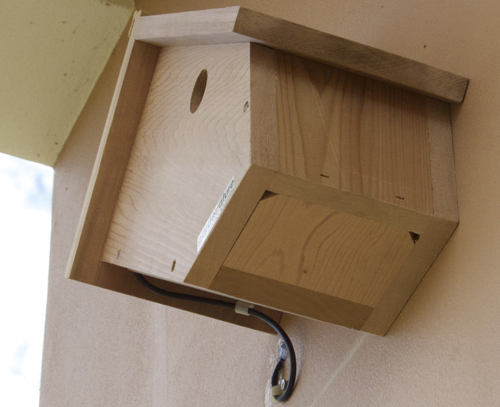 The nest box wifi camera can be seen at the top right of the nest box. 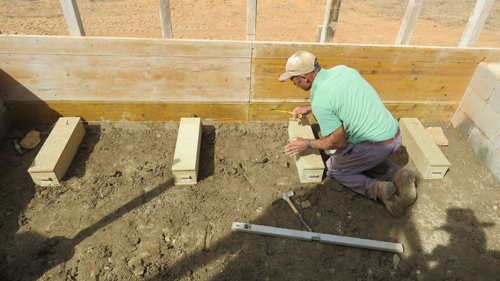 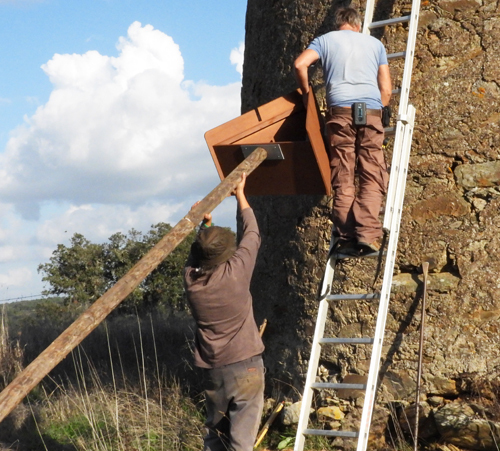 A new Nest Box, more properly called a Den Box as it is aimed at a mammal species, has been put up in the reserve. 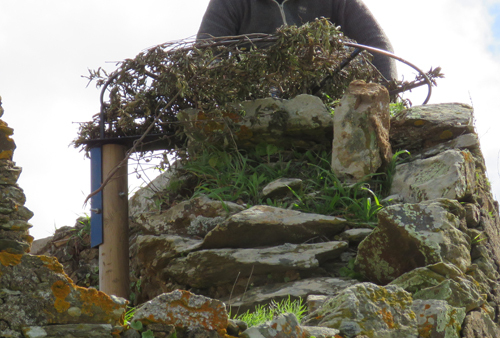 The target species is the Beech Marten (or maybe even a Common Genet). 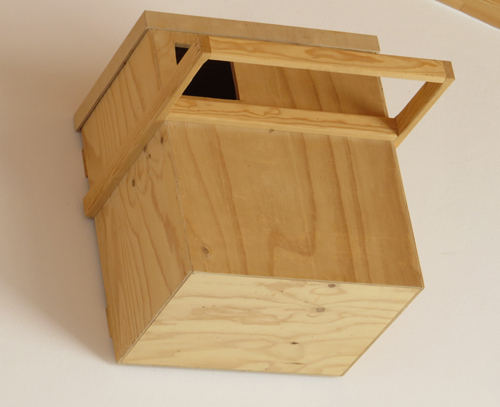 Beech Marten Den Box with some straw in the Denning chamber. 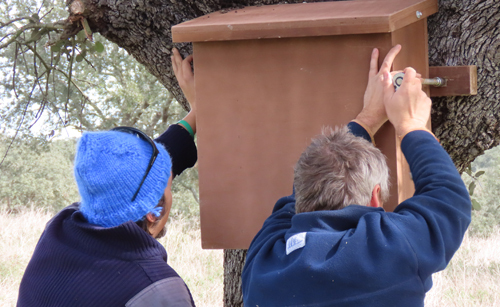 The Beech Marten Den Box being attached to an Iberian Holm Oak. 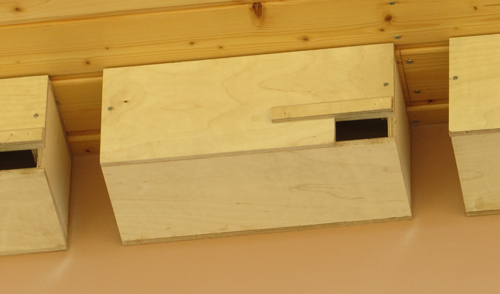 The Den Box has two entrance holes at the back of the box, against the tree trunk. 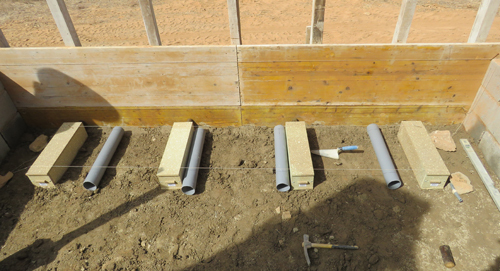 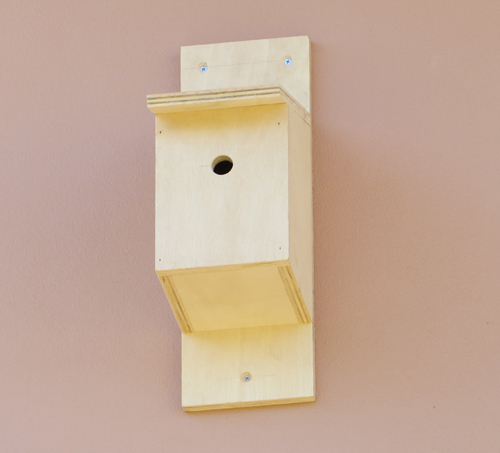 This helps to keep birds from nesting in the box. 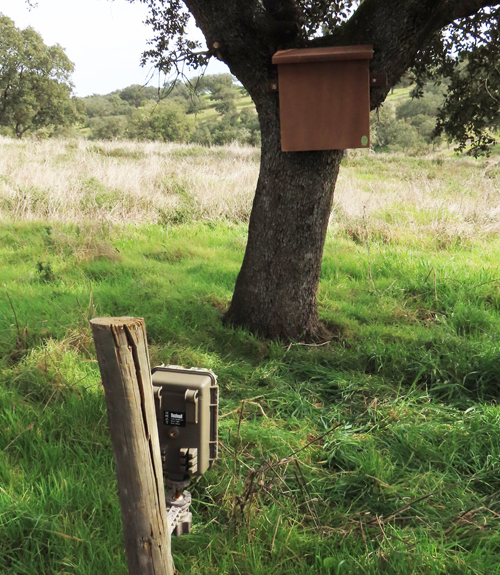 A Trail Camera has been set up at the Den Box so that it can be checked without disturbing any residents just by looking at the trail cam photos. 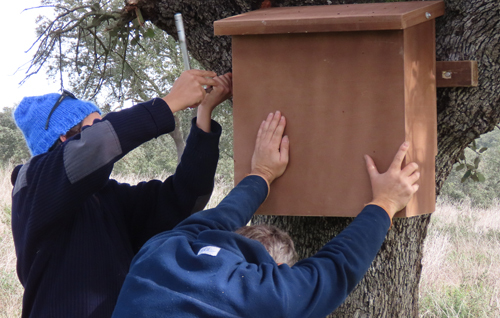 A new Nest Box has been put up in the reserve. 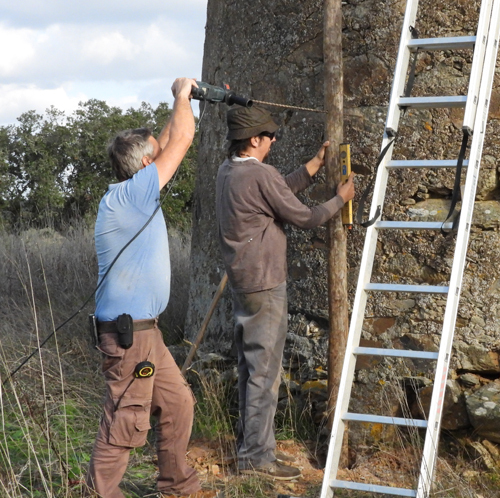 The target species is the Common Barn Owl. 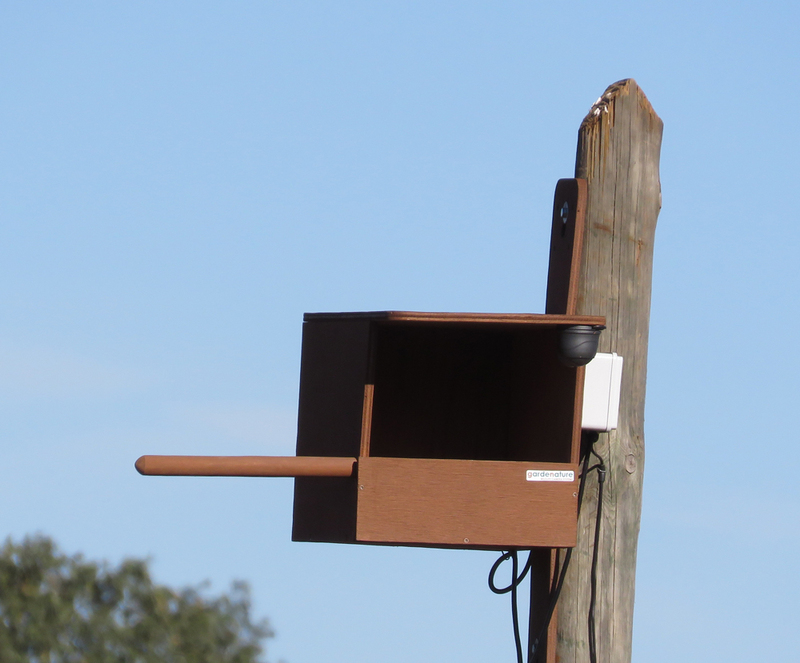 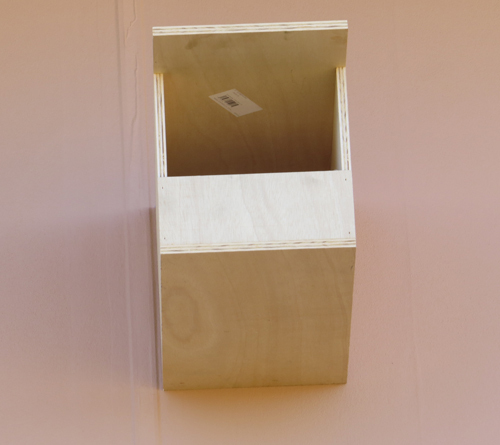 Common Barn Owl: This nest box has a live video camera feed via wifi (with an aerial extending the wifi signal) direct to a computer in the office. 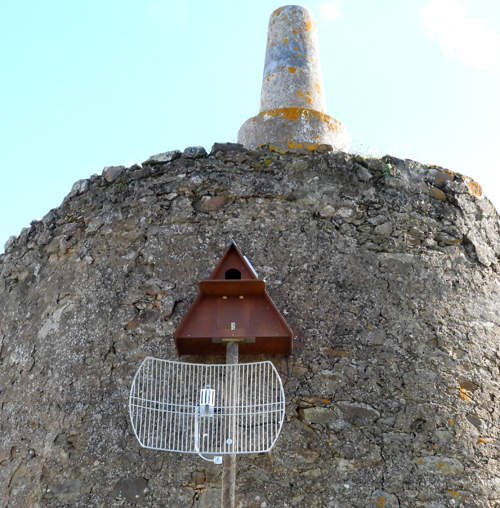 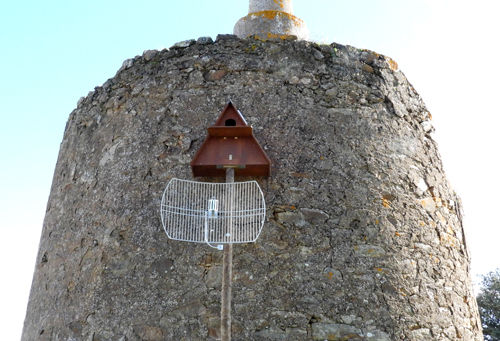 Windmill, built in 1839, chosen as site to mount Barn Owl Nest Box with WiFi camera system linked to Office. 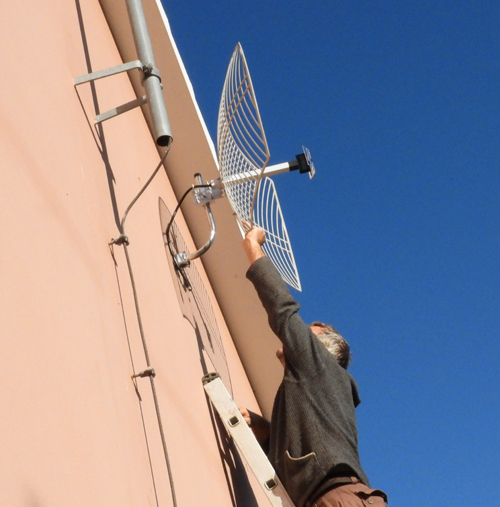 WiFi Aerial mounted onto office wall - facing Windmill 800m away. 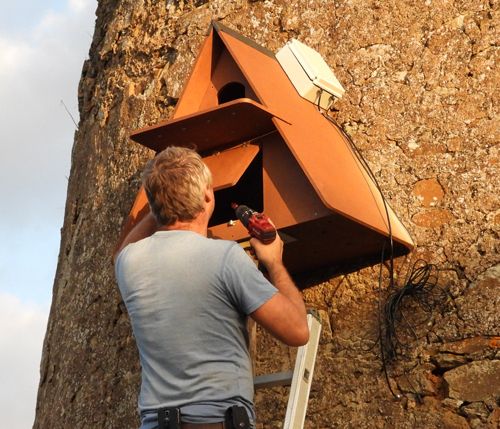 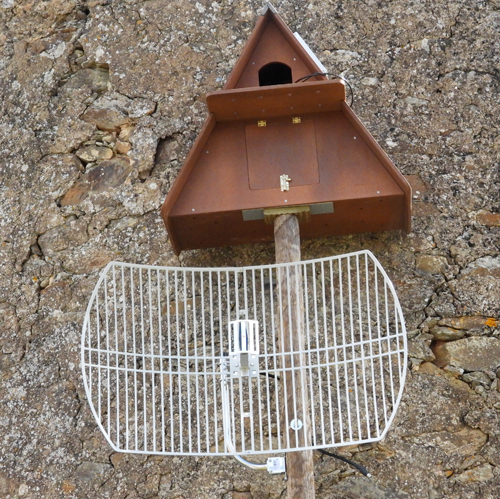 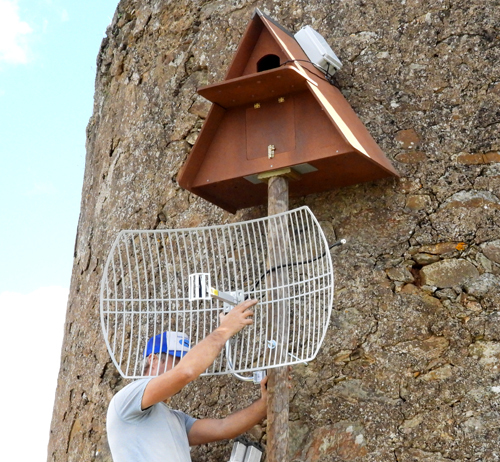 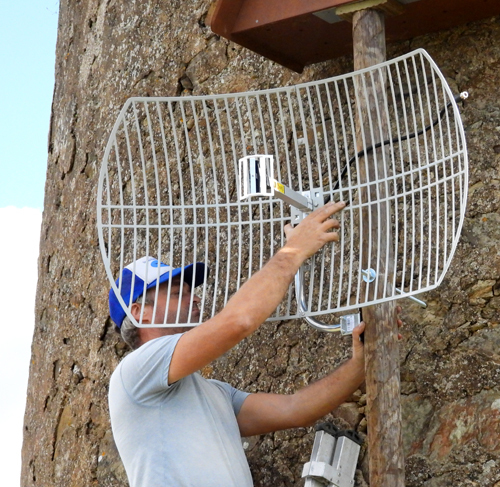 WiFi Aerial Extender being mounted below Nest Box. 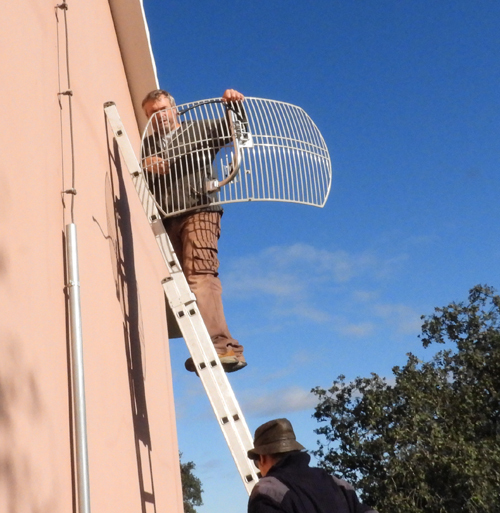 This has the capacity to extebd the WiFi signal to 1.2km. 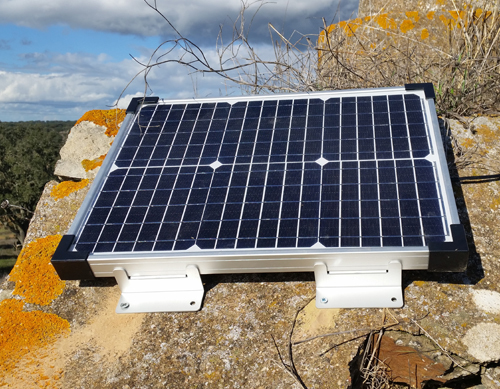 Solar Panel sited on top of Windmill. 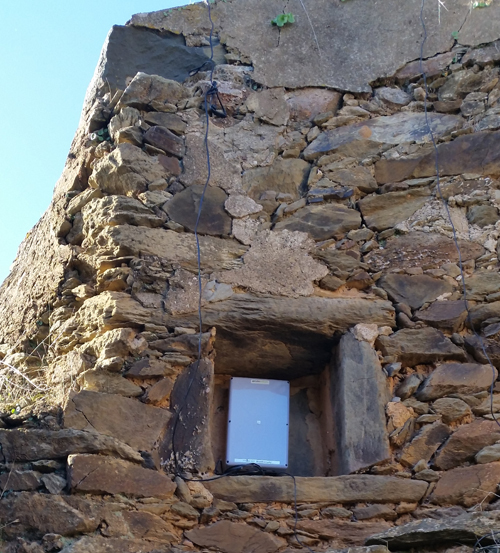 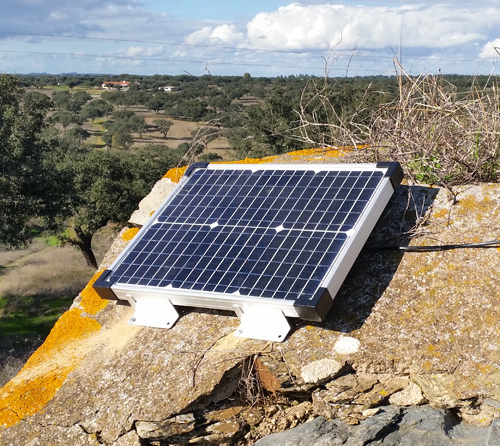 Solar-Powered Battery hidden in alcove on inside of Windmill. 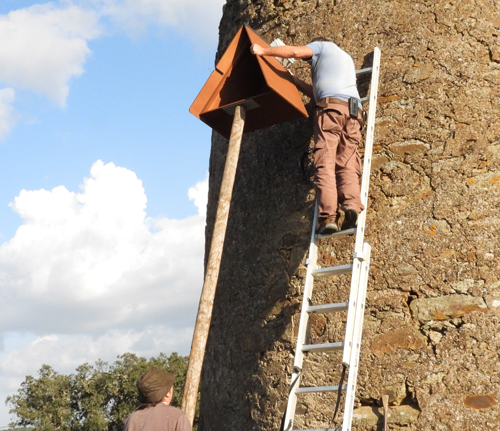 The Office can be seen in the distance, some 800m away. 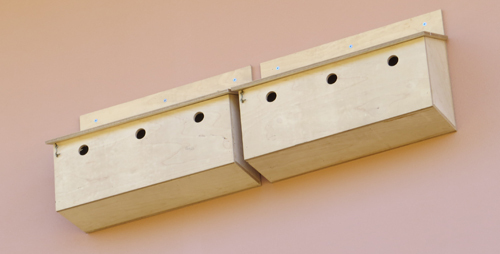 birds such as Common Kingfishers. 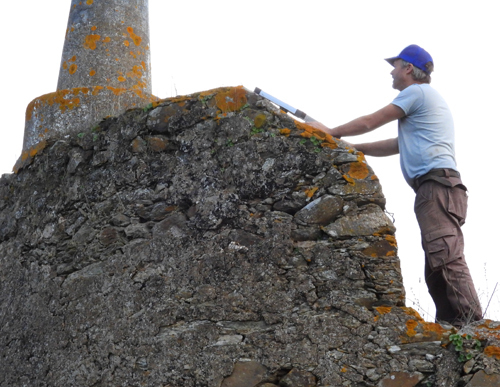 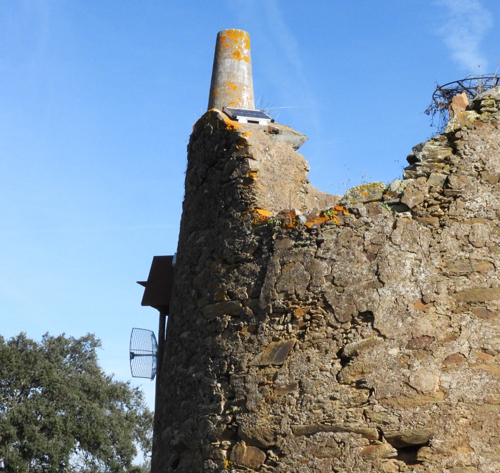 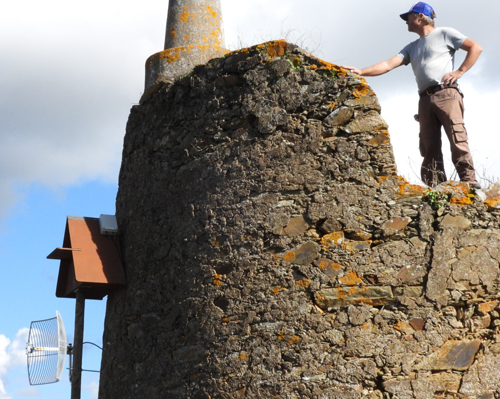 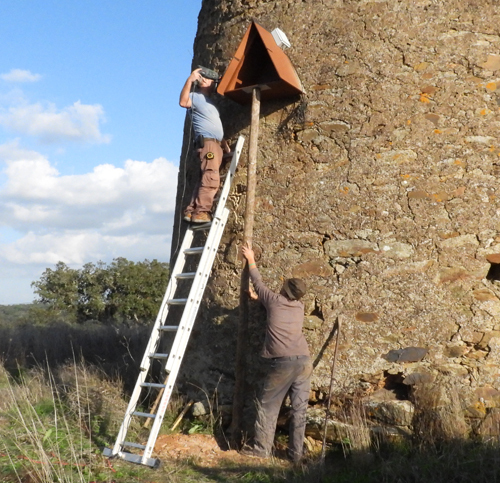 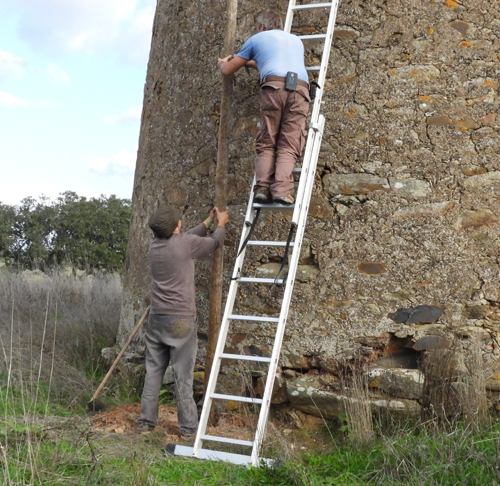 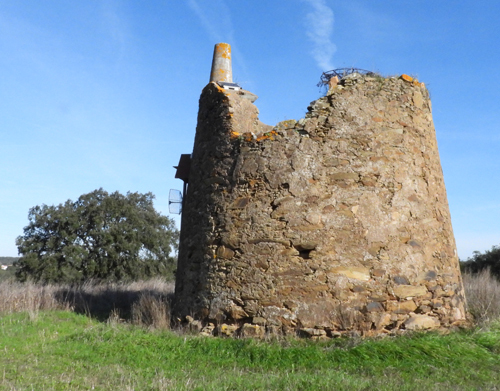 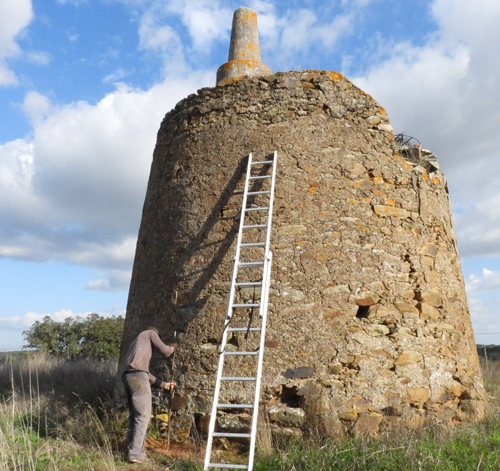 A second White Stork nest platformhas been mounted ontop of the reserve's ruined windmill. 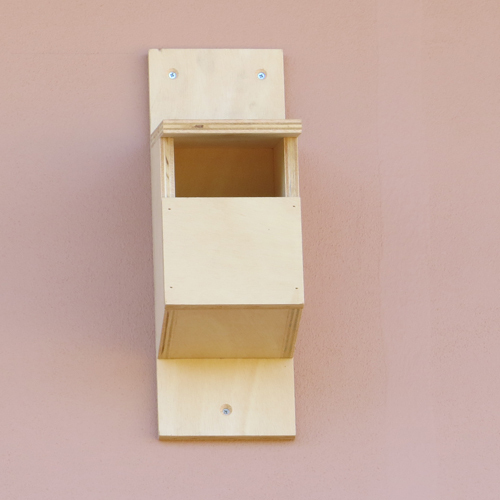 Various other Wooden Nest Boxes mounted on Office wall. 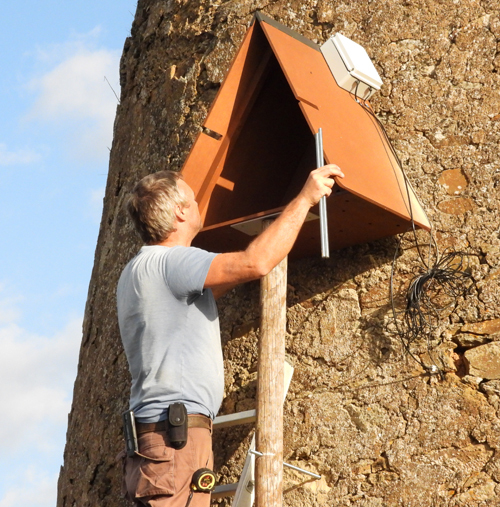 Originally intended for a variety of species, including Common Kestrel, Common Barn Owl and Common Swift, most of the nestboxes have been occupied by House Sparrows and Spotless Starlings.